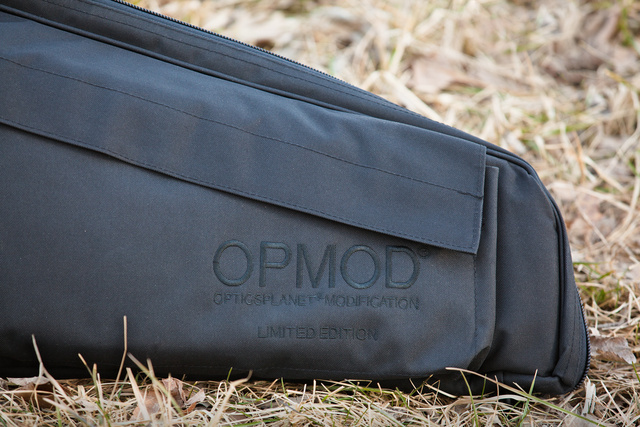 Opmod rifle case comes in three lengths, from 33 inches to 43 inches (shown). 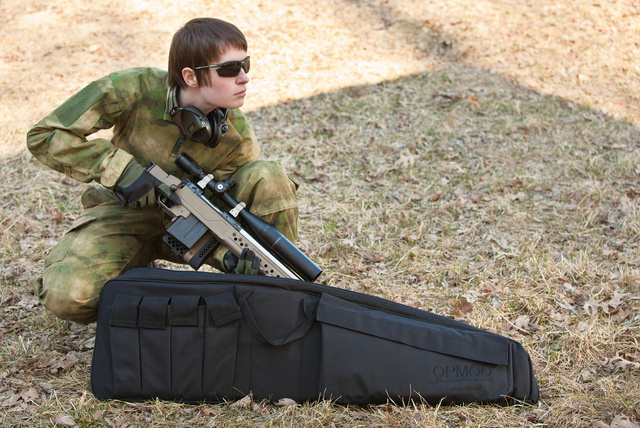 It’s a basic design, pretty sturdy and decently padded to protect the rifle. Not visible in the photo is a wide shoulder strap. This entry was posted in Uncategorized and tagged bag, carry, case. Bookmark the permalink. I think I see a McRees Precision chassis? It looks like Midway’s bag, of which I have two . One dedicated to my AR, another for general purpose use. Good pockets, good padding, they’re very good bags. Unless you like advertising the fact you are transporting guns, avoid bags shaped like that, and especially with the mag pockets on the outside. On the outside is just stupid. Any positive attributes for outside mounting are far outweighed by having them inside the bag, or inside an accessory pocket that is part of the bag. If you are part of the .gov, then it doesn’t matter quite as much. Frankly, the only good thing about the outside type is you can tell at a glance if you have forgotten to pack your mags.